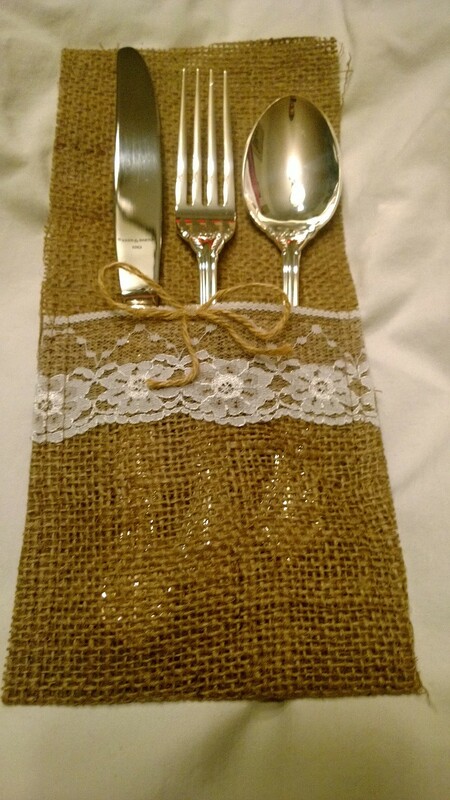 Rustic beauty would describe our elegantly designed burlap silverware holders decorated with lace and jute twine. 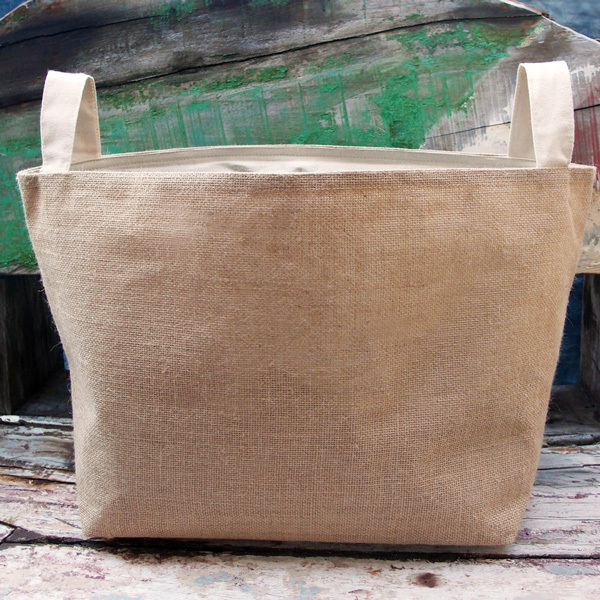 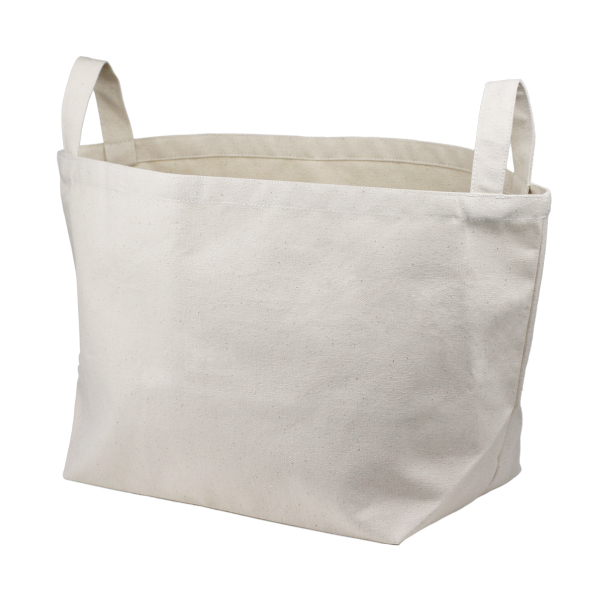 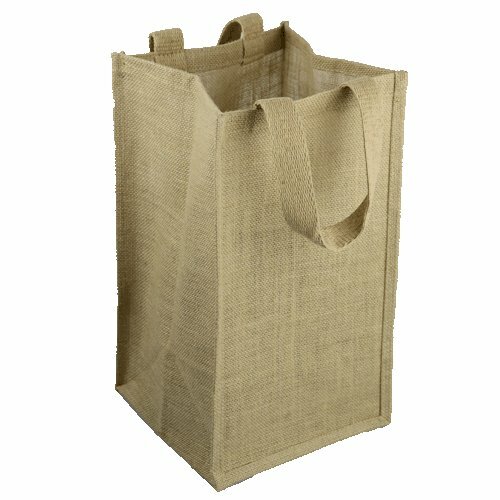 Sold in a 8 pack and make an ideal choice for your wedding or burlap theme event. 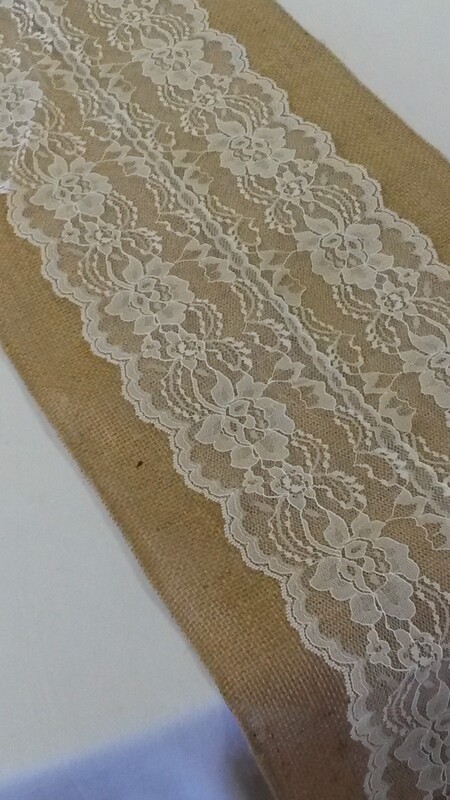 Measures roughly 4.5" wide x 10" in length. 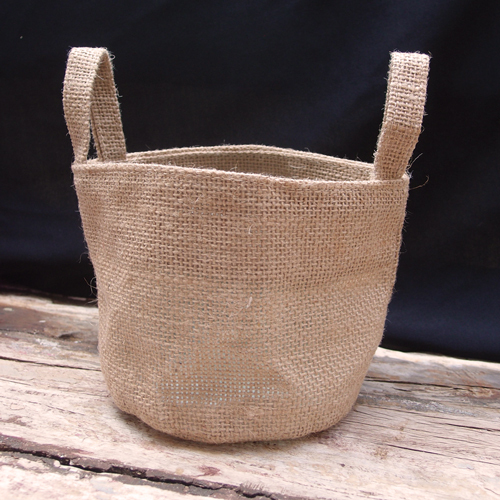 Each burlap utensil holder is handcrafted and therefore each one can vary slighly in look and size.